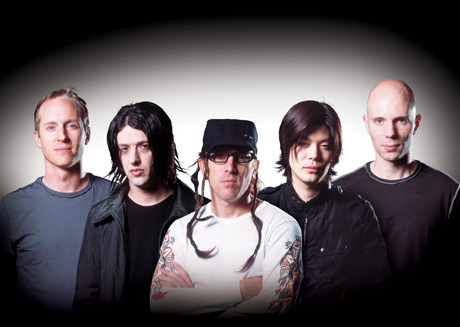 As we previously told you, renaissance man Maynard James Keenan has rekindled his inactive A Perfect Circle project with guitarist Billy Howerdel, former Smashing Pumpkins axe man James Iha, drummer John Freese and bassist Matt McJunkins. Now, you can check out a video of APC performing "Weak and Powerless" on Jimmy Kimmel Live. The band played Kimmel's show last night (October 27), marking their first TV appearance as a reunited band. "Weak and Powerless" is from their 2003 album, Thirteenth Step.